We all know how popular Snort is as an open source intrusion detection event generation engine. Have you ever heard of Shoki? I've known about it for a while, but will researching I found it seems to be progressing nicely. The latest release dates from May 2003. I'm probably most interested in the project's packet visualization tool, Hustler, from which the screenshot at left is taken. It looks like it doesn't just accept libpcap data, but must work with Shoki. It looks like Shoki is near the same phase as Sguil -- still rough, with some operator knowledge needed to get the system running. Another open source IDS vying for its place in the sun is Tamandua. Version 2.0 was released in June 2003. It may be a good tool (I haven't used either Shoki or Tamandua), but I'm reluctant to try Tamandua. Most of the presentations are in Portuguese, and the project seems to be the offshoot of a commercial company. At some point I'd like to have the skills necessary to turn projects I like into FreeBSD ports. That way, I can install, manage, and run them easily on my favorite operating system. While doing research for my book Real Digital Forensics I visited the home page for the network session data generation tool TCPTrace. I learned that a new manual was released last week. I also learned that Ohio University supports an IDS project called INBOUNDS. Their publications page is very impressive, since they host their students' theses and copies of some of the most important IDS documents of the last decade. I look forward to seeing Manikantan Ramadas, Shawn Osterman, and Brett Tjaden present their paper next week at RAID 2003 (Recent Advances in Intrusion Detection) in Pittsburgh. I read at Snort.org how Jim Buzbee figured out how to run Snort on his Linksys WAP. This is no joke. The folks at Seattle Wireless discovered the Linksys WRT54G runs Linux kernel 2.4.5. Through a bug they investigated the box thoroughly. They also physically disassembled the box. 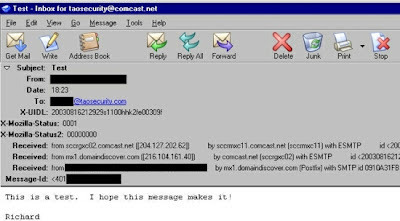 They learned the web server used to administer the device is mini_httpd. Amazing. Is Earth Station Five a media industry sting operation? A few friends told me about this site today, so I poked around a bit. ES5 appears to be some sort of file-sharing network which thumbs its nose to the Recording Industry Association of America and the Motion Picture Association of America. ES5 seems to have made its biggest splash in this CNET News.com article where ES5 "President" "Ras Kabir" claims "We're in Palestine, in a refugee camp." The earliest reference I found dates from 18 March 2003 in a post at a digital music site. 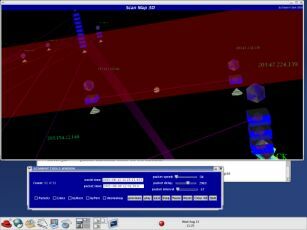 It was also discussed on 25 June 2003 at the filesharing site Zeropaid.com. Prior to the News.com story, I found press releases which appear to be from 27 June 2003, 1 July 2003 and 7 July 2003. "According to Earthstation 5 founder Kabir, the company was formed after a conversation with his brother Nasser in Ramallah two years ago, as Napster was circling toward its nadir. Over time, they won the financial backing of investors in Israel, Saudi Arabia and Russia, who have asked to remain anonymous. Those funds were used in part to pay contract programmers, largely in Russia, to help build the basic software. The 35-year-old Kabir, who speaks fluent English, says he is Palestinian but spent much of his childhood in Manchester, England, with his mother. He now has homes in Jenin and elsewhere in Palestine, where Earthstation 5 is based, he said." "In response to the email received today from the Motion Picture Association of America (MPAA) to Earthstation 5 for copyright violations for streaming FIRST RUN movies over the internet for FREE, this is our official response! Earthstation 5 is at war with the Motion Picture Association of America (MPAA) and the Record Association of America (RIAA), and to make our point very clear that their governing laws and policys have absolutely no meaning to us here in Palestine, we will continue to add even more movies for FREE." I uncovered some "investigative reporting" at slyck.com, whereby the site owner interviewed "Ras Kabir," ES5 "president." He focused mainly on usage statistics: "Slyck asked Ras Kabir to explain how his program could possibly have 3 times the level of usage of FastTrack and be one of the most downloaded software applications in such a short period. This especially seems hard to explain given the fact that it is difficult to find content for some artists. Surely these figures are inflated?" I'm more concerned with the odd language used by the site. I have two explanations. First, it's the sort of "wanna-be-cool, fight-the-man" language used by a marketing-drone-turned-sting operator. For example, the ES5 Chronicles page, which features the image shown above and uses terms like "evil empire" and "enemy hands" too many times for my tastes. Other people, besides several who spoke up in links listed earlier, express doubts about ES5's authenticity. See this thread and this SlashDot story. Putting on my intel officer hat, I did some cursory research on the "Jenin refugee camp" from where ES5 allegedly operates. After seeing the pictures on this site, I wondered what kind of infrastructure is there to support major file sharing operations! Still, lots of rebuilding is going on. You can check the United Nations Relief and Works Agency for Palestine Refugees in the Near East site for information. I couldn't find anything specifically mentioning a "Jenin refugee camp 23." earthstationv.com. 1H IN NS ns2.earthstationv.com. earthstationv.com. 1H IN NS ns1.earthstationv.com. earthstationv.com. 1H IN MX 10 earthstationv.com. SpeedNet's ASN was the last number in each list, meaning '25276'. I then queried cidr-report.org for more information on ASN 25276. I could have also queried ARIN for similar information. In the context of this report "Upstream" indicates that there is an adjacent AS that lines between the BGP table collection point (in this case at AS4637) as the specified AS. Similarly, "Downstream" referes to an adjacent AS that lies beyond the specified AS. This upstream / downstream categorisation is strictly a description relative topology, and should not be confused with provider / customer / peer inter-AS relationships. This report does not take into account conditions local to each origin AS in terms of policy or traffic engineering requirements, so this is an approximate guideline as to aggregation possibilities. What does this all mean? I'm not sure, but I hope you followed along and discovered all the different sorts of information you can learn given only a few IP addresses and domain names. I didn't touch ES5 to get any of this, other than visiting their web site to grab a few screen shots. I'd like to download their software and test it in the lab next. "The bottom line is this: Michael Lucas knows what to write to help system administrators get the job done. I wish other authors did the same. I'd love to see Lucas or another "No Starch" author write "Absolute Cisco Routers," followed by "Absolute Cisco Switches." Any takers?" "It was my fault that I bought this book. 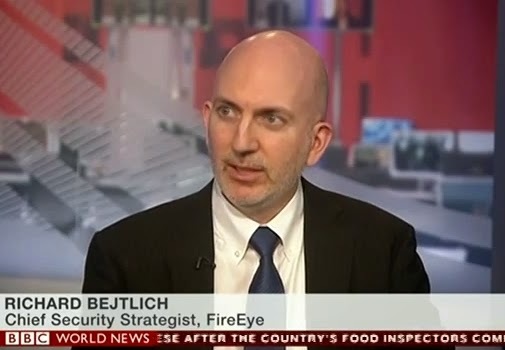 I should have been tipped off by the odd choice of "key points" on the cover: "describing firewalls, indicating security policy violations, analyzing the information sources, improving the IDS security level." These sound awkward, and PYIWID follows that theme throughout. 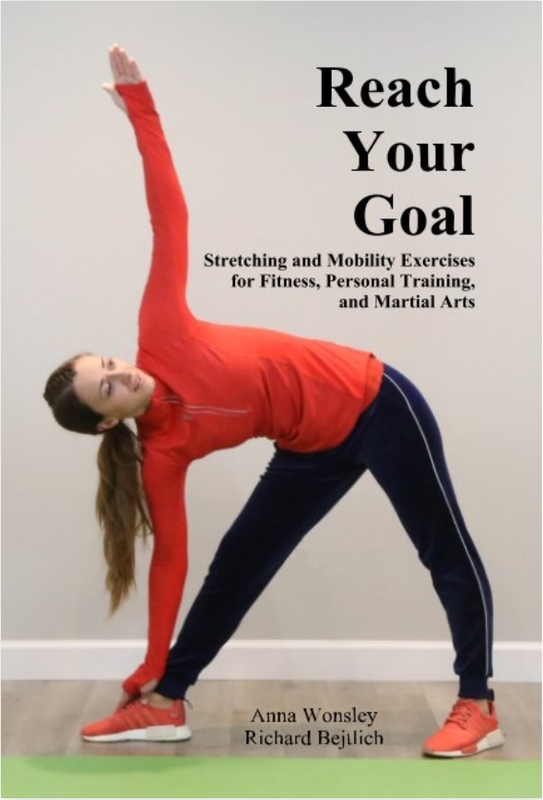 I give it three stars because the author did a lot of working bringing disparate sources of information together in this single volume, but he did not present it coherently. " While reading a Slashdot story on a Curses library (.pdf) version of GTK (The Gimp Toolkit) called Cursed GTK, I found a link to Contiki, a "highly portable, modern, open source, Internet-enabled operating system and desktop environment for very constrained systems, such as 8-bit homecomputers like the Commodore 64." You can access Ethernet using this special NIC. Can it get better? Oh yes. 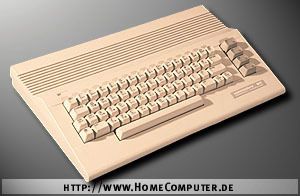 You can access a Commodore 64 remotely using a special version of VNC called CTK VNC by visiting this site. 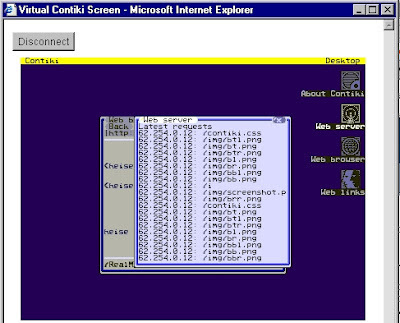 Above is a screenshot of the page when I used the Java VNC client. Not only was this site offering remote VNC access, it was also serving up web pages! I find the security news ticker from Security News Portal to be very helpful, so I added it to the blog. Let me know if you like it or dislike it! I read on snort-users that Guy Bruneau released version 3.1 of the SHADOW IDS. Installation documentation (.pdf) is available. You can download an .iso. I'm interested in seeing how the .iso works out. 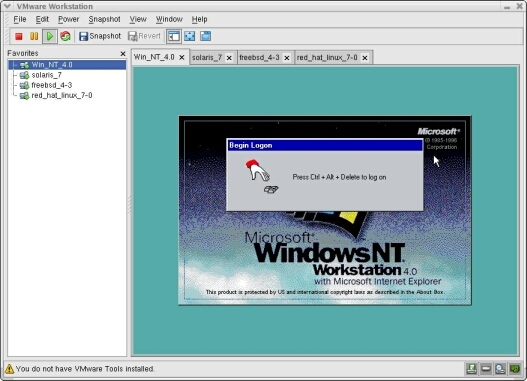 With VMWare I can install directly from the .iso without burning it to CD-ROM. Keep in mind SHADOW is a packet-header based IDS. It is not a content inspection system like Snort or commercial IDS. Still, it can be useful. I learned that a new edition of the Open Source Security Testing Methodology Manual was released Saturday. The OSSTMM is a consensus document whose objective is "to create one accepted method for performing a thorough security test." It is created by the Institute for Security and Open Methodologies, described here as "a non-profit organization which provides collective information and tools under the open source licenses for free public use. This information is provided via the Internet and through social venues and conferences." This sounds somewhat like SANS, who as recently as Oct 02 was called "a nonprofit security research and training group." I couldn't find any indication on the SANS web site of their non-profit status, and searches into archived pages for SANS, Escal, and "The Intranet Institute" didn't show anything confirming its non-profit status. Read the newest versions of the OSSTMM, OSSTMM Internal, and the BSTA Workbook. Take a few MBA classes in business information and security. 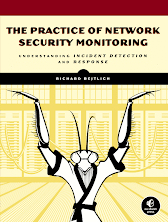 Read books on intrusion detection, honeypots, secure programming, and anything else you can to see how attacks arrive. Learn how to get what you need for security analysis off the Internet. Know where you can get the needed trend information, solutions, CVE info, hacks, exploits, etc. 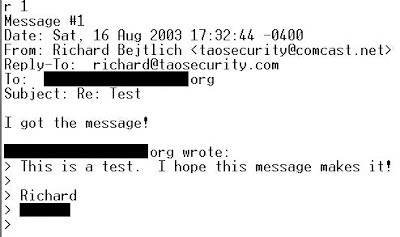 to do an OSSTMM security test. Learn how TCP, UDP, ICMP, IP, RIP, OSPF, BGP and various application level protocols work like FTP, DNS, SNMP, BOOTP, HTTP, HTTPS, etc. and how to analyze them. Learn how to analyze and categorize information leaks, privacy breaches, and competitive intelligence. Learn where to look in the Security presence to find weaknesses and deficiencies. Calculate risk assessment based on the current version of the OSSTMM. Understand how to calculate and execute project plans while upholding proper legal and ethical testing. Know how to follow the security tester's rules of engagement as per the most recent OSSTMM. Work with an efficient red team either internal or as a consultancy to learn efficient teamwork and project requirements. Read what you can about security policies and security architecture to be able to design secure network topographies with associated process controls. Otherwise, you may be interested in the training course." Wow! That sounds like a four year college degree. Wait -- this is all packed into a four day class? Who do these guys think they are? If you're using a Linux-based NAT (or "IP Masquerading") firewall as an inline device, and you may need a way to check the sessions as they pass. ConnViewer will do that for you. Pkstat will give text-based traffic statistics, as will other tools listed on that site. Wireless Application Protocol, or WAP, is a protocol allowing some mobile devices (cell phones mainly) to "surf" the Internet. I found this Public WAP Gateway, with which you can test your phone! Check the Yahoo Forum for the web site to see how people are using this free service. When I attended Black Hat USA 2003 last month, several presenters mentioned "fuzzing" as a technique to find security vulnerabilities. As I understand it, fuzzing involves sending unexpected input to an application and monitoring its responses for signs of vulnerabilities. The most widely known tool is Dave Aitel's SPIKE. 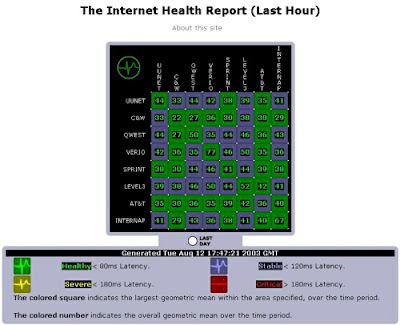 The PROTOS suite was famous for its discovery of SNMP weaknesses last year. The IP Stack Integrity Checker is another open source tool. 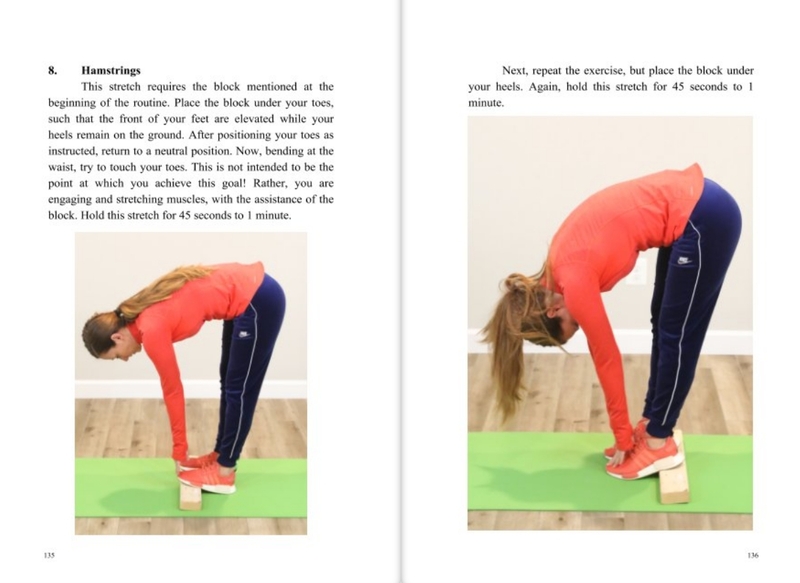 There are alternatives to these tools in private use, and some offer other methods, like sofwtare from Greg Hoglund's HBGary, to find similar weaknesses. Earlier I mentioned Vericept, whose product watched for the movement of sensitive data out of corporate networks. I recently learned of Oakley Networks, whose IO-3 product appears to do something similar. Rather than watching for suspicious inbound activity, typically caused by intrusion attempts, this product watches for leakages of data defined by the administrator. Of course, the product only gets interesting if we know it doesn't "grep for strings." We could program Snort or ngrep to do that! In my never-ending quest to discover obscure ways to transfer data, I've used BBS', the Internet, private government networks, and amateur radio packet networks. Now I've learned of a system called FidoNet. FidoNet is a system whereby users transder mail and files via modem using a "proprietary protocol." 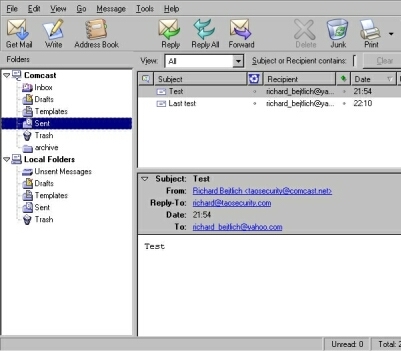 These systems link to gateways connected to the Internet, so mail can be exchanged between the two networks. It seems the appeal of FidoNet is the class of users is different, and there's more of a sense of community. FidoNet is strictly regulated, not allowing any commercial content. Candidates have to apply to their region. First locate the major region, like Region 1 for North America. Then, apply to the local region, like Region 13 for Washington, DC. Some web-based gateways to FidoNet exist, and I've noticed some telnet-accessible BBS' offer FidoNet access. There's a FidoNet Newsletter, too! "The U.S. Department of Commerce Patent and Trademark Office issued Patent #6,549,208 for SilentRunner’s technology architecture that enables digital data input from external sensors for visual analysis, correlation and display with data derived from four major software groups: Virus Computer Code Detection; Analysis of Computer Source and Executable Code; Dynamic Monitoring of Data Communication Networks; and 3-D Visualization and Animation of Data. " "Before reading Greg Lehey's "The Complete FreeBSD, 4th Ed" (TCF:4E), I reviewed Michael Lucas' excellent "Absolute BSD" (a FreeBSD book) in Feb 03. I can't say which book is better, and I recommend you buy Lucas' book as well as this one. TCF:4E remains for me the FreeBSD user's manual; any serious FreeBSD user will have it on his or her shelf. The two books complement each other, as Lucas is often more direct in his explanations." I submitted my five star review of Michael Lucas' Absolute OpenBSD last night. We'll see how long it takes to appear! "The infection resulted in a slowdown of major applications, including dispatching and signal systems. As a result, passenger and freight train traffic was halted immediately, including the morning commuter train service in the metropolitan Washington, D.C., area. Contrary to initial reports, the signal system for train operations was not the source of the problem. Rather, the virus disrupted the CSXT telecommunications network upon which certain systems rely, including signal, dispatching and other operating systems." Wonderful. Who in management will be fired because of these incidents? Probably no one. Kevin Poulsen wrote an excellent article on the means by which Slammer (not Blaster) "penetrated a private computer network at Ohio's Davis-Besse nuclear power plant in January and disabled a safety monitoring system for nearly five hours, despite a belief by plant personnel that the network was protected by a firewall." "It began by penetrating the unsecured network of an unnamed Davis-Besse contractor, then squirmed through a T1 line bridging that network and Davis-Besse's corporate network. The T1 line, investigators later found, was one of multiple ingresses into Davis-Besse's business network that completely bypassed the plant's firewall, which was programmed to block the port Slammer used to spread. 'This is in essence a backdoor from the Internet to the Corporate internal network that was not monitored by Corporate personnel,' reads the April NRC filing by FirstEnergy's Dale Wuokko. '[S]ome people in Corporate's Network Services department were aware of this T1 connection and some were not.'" The AFCERT of today wasn’t always such a robust organization. "Many people don’t realize we started in the early 1990s with only a handful of dedicated people who understood this business," said Tech. Sgt. Will Patrick, AFCERT superintendent. I'd argue only a few still understand the business, and there's far too much work to go around! Thankfully, most of the people who served in key roles have brought that knowledge to the private sector. Instead of protecting the military, they're protecting your banks, insurance companies, utilities, and other pieces of critical infrastructure. Besides the military folks I'll visit, I'm also having dinner with the group of analysts Bamm Visscher and I hired at Ball Aerospace & Technologies Corp. to implement the world's only, albeit short-lived, commercial managed network security monitoring operation. Like me, we've all moved to other jobs since the decision by BATC to yank our funding. Oddly. I left a month before funding was actually removed, since my family wanted to move from San Antonio to Washington, DC! I'm not a big TIME magazine reader but I thought their recent story on the blackout offered some cool graphics, like this depiction of the northeast power grid. Their Shockwave animation is also neat. Be sure to visit TIME's site to read the whole account. All this time I've had the cable needed to connect the phone to my laptop, but never used it. Well, after perusing the Howard Forums Motorola section I decided to see what I could do with my i90c. 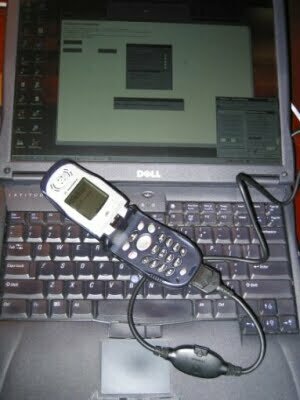 I started by visiting the iDenUpdate site, the portal for software for Motorola cell phones. I visited the i90c software update page and saw "R76.02.04" was available, with the description "This iDEN Update Service Pack includes the most recent updates and enhancements to your Nextel phone software. Current Service Pack releases contain all previous Service Pack fixes and any new fixes created after the previous Service Pack Release." Sounds like Windows! If this doesn't remind you that your cell phone is a full-fledged computer, what will? Soon the process ended and I was asked if I wanted to install any other applications. I picked a few that I use regularly, but when the update process was done only one was installed. (I had enough memory for all three.) Although I had done the update through the PC and serial cable, I installed the additional Java apps through the native cellular features of the i90c. "Under the proposal, banks and other financial institutions would alert customers by mail, telephone or e-mail, when they find unauthorized access to personal data that could result in substantial harm or inconvenience. Banks also would be told to flag any accounts that may have been compromised and monitor them for unusual or suspicious activity." This marks a significant break from standard practice. In the past banks had latitude to keep things quiet, at the discretion of the board and legal counsel. Of course, the details of the guidelines must dictate what constitutes "unauthorized access" and "personal data" and "substantial harm or inconvenience." Stay tuned. I just learned of this issue Monday night at an amateur radio meeting. The Federal Communications Commission released a "notice of inquiry" (NOI) (.pdf, .doc) on 28 Apr 03 regarding "Broadband over Power Lines" (BPL). The American Radio Relay League, an organization supporting amateur radio, filed its opposition to BPL, and I encourage readers who care about supporting amateur radio to do the same. Today is the last day to submit a comment to the FCC! I describe how to do so below. BPL involves sending data in the form of electrical signals over power lines designed and optimized for 60 kHz signals. Unfortunately, power lines weren't built to handle BPL, which operates at 2 to 80 MHz. Power lines are unshielded, and they make the world's greatest antennas! So what? The result is "spillage" of the signal all over the radio spectrum in the 2 to 80 MHz band. You can see what uses these channels on a frequency allocation chart. An amateur radio-specific chart is here. Spilling noise all over this frequency range eliminates the ability of amateur radio operators to respond to crises like the northeast blackout and 9/11. (This Slashdot thread on hams helping during the blackout shows the public needs to be educated on the sorts of services amateurs provide during emergenices.) More than just amateur radio is affected, so I expect the military and other organizations to complain as well. "I am writing to oppose deployment of Broadband over Power Line (BPL). I am an amateur radio operator. It is wrong to allocate 78 MHz of spectrum (from 2 to 80 MHz) to BPL, when amateurs are already licensed to use large portions of this spectrum. Amateurs provide critical service during emergencies, such as the power blackout in the northeast. Without access to the frequenices planned for allocation to BPL, amateurs would not have been able to communicate with each other at the distances needed to coordinate emergency services. I concur with the documents submitted by the ARRL and I request the FCC consider the ARRL's submission." During emergencies amateur radio operators work within two organizations: ARES and RACES. The Amateur Radio Emergency Service (ARES) consists of licensed amateurs who have voluntarily registered their qualifications and equipment for communications duty in the public service when disaster strikes. The Radio Amateur Civil Emergency Service (RACES) is an organization of amateur radio operators who volunteer to provide radio communications for State and local governments in times of emergency. (These definitions came from the Virginia ARES/RACES site.) Some amateurs also support Skywarn, a National Weather Service program involving amateur radio operators trained to report severe weather back to the NWS. "The majority of the power failures began at about 16:10 EDT. Immediately thereafter, the number of routes in global routing tables dropped rapidly, falling by nearly 1000 within five minutes. This likely corresponded to the loss of reachability of networks which did not have alternative backup power sources. Table size then continued to drop, though at a slightly more gradual pace. We suspect that losses during this time correspond to networks with limited backup power which were able to stay online temporarily until those power supplies were exhausted. By 19:00 EDT, routing table sizes had reached their low point, a full 2500 networks fewer than the current baseline size." While reading Michael Lucas' excellent Absolute OpenBSD, I learned of a project which maintains a library of Systrace policies called the Hairy Eyeball Project. Systrace allows administrators to define which system calls their applications can execute. Systrace is included in OpenBSD and ports exist for other operating systems. I most interested in the FreeBSD version which Rich Murphey presented at DefCon XI. I haven't seen anything from DefCon XI posted in the site's archives yet. While perusing the mailing lists I discovered CerbNG which appears to have similar functionality to Systrace. I think projects like this are key to improving security. 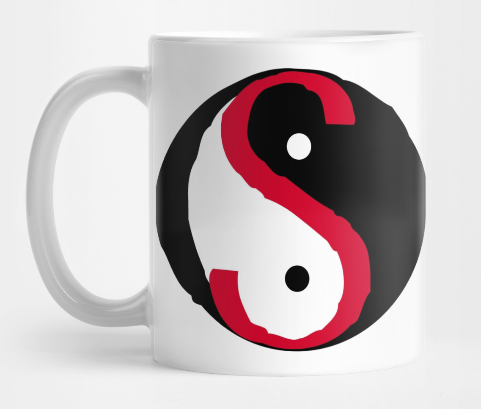 Boundaries between the untrusted "outside world" and the trusted "inside world" are dissolving. Road warriors infected with the latest worm use their VPN to connect to the corporate network, bypassing defenses aimed at exterior threats. Increasingly hosts must defend themselves as access control is becoming difficult if not impossible. Organizations are unwilling or unable to segment their networks, as most can't even define the relative importance of their business assets. The future of security is every machine being a bastion host. If you need a commercial solution, Primary Response from Sana Security "monitors and protects applications at the OS kernel level, building a profile of the application's normal behavior based on the code paths of a running program, then continually monitoring those code paths for deviations from the norm." At 9 am eastern on Wed 28 Aug 03 my webcast "Implementing network security monitoring with open source tools" will "premiere" at searchsecurity.com. You can sign up here. It won't be live since I'm recording it Thursday afternoon, but you can submit questions which I'll answer on their web site. It's a sequel to last year's webcast mentioned on my press page. My dad recently shipped my old Commodore 64 to me and I'm trying to figure out how best to use it. It would be fun to run a BBS accessible via telnet, like these. My Commodore 64, 1541 disk drive, Capetronic 1200 baud modem, and RS-232 serial interface all work, but I need software for the C-64. There are plenty of games that run on emulators, but how do I get software from the archives onto the C-64? Assuming the C-64 has no terminal software available, my best bet appears to be to use Star Commander on a PC running MS-DOS. I'll connect the PC to the 1541 disk drive using a special cable (probably the XA1541). I'll use Star Commander to write Commodore software like EBBS to a floppy in the 1541. Once the software is available to the C-64, I can try setting up a BBS like that run by Leif Bloomquist. Using these instructions, I could even access telnet services from the C-64! Here's another option called BBSLink that forwards incoming telnet connections to a Windows box to the COM port, where the C-64 listens. Maybe I'll connect the C-64 to my packet radio TNC, and really go retro. I also found these how-to's to be helpful in figuring out this process, and an incredible amount of original documentation is online. Because Star Commander works only in a true MS-DOS environment, I started looking at what could be done in DOS. Would you believe people are running DOS-based web servers? When I attended Black Hat USA 2003 in Las Vegas last month, I brought my amateur radio with me and found myself listening to callers all over the world. It turns out I had stumbled upon a frequency used by the Internet Radio Linking Project. The IRLP links amateur radio repeaters by encapsulating voice communications over the Internet. So, when I listened to 146.40 MHz in Las Vegas, I was listening to node 3290 on the IRLP! This is another example of how amateur radio is alive and well in the age of IRC and text messaging via cellphone. You can listen to the IRLP live for free here: http://live.irlp.net:8000/listen.pls. >Currently my rig can only operate on 2 meters (144-148 MHz), and the nearest IRLP nodes to me operate on 70 centimeters (420-450 MHz). I've been checking the eHamnet Reviews for a good dual-band rig I can afford. The Yaesu FT-8800R has good reviews and supports a feature called WIRES, or "Wide-coverage Internet Repeater Enhancement System." Today I visited the Ham Radio Outlet in Woodbridge, VA and bought a Kantronics KPC-3+, pictured above. This little beauty is a "Terminal Node Controller" (TNC) and it lets my HTX-202 2 meter radio (pictured next) talk to the "packet radio" network around the world. I think that's cool! Amateur radio operators can send email to each other without the use of the Internet. It's just like the old BBS days in the 1980s, and especially relevant in emergencies today. (The VA Digital Emergency Network operates using packet radio.) My HTX-202 rig supports data transfer at 1200 baud, which is what I used with my Commodore 64 back in the day. Monday night I plan to attend a meeting of the amateur radio operators in my area and learn what else I can do with this technology. Since I still can't upgrade to Blogger Pro, I'm trying a few free services. First, I added a counter courtesy of Sitemeter.com. I'm also I'm experimenting with a free service that allows readers to comment, courtesy of BlogExtra. I got ideas on both from CFMXPLUS. Let me know what you think! Update: I removed the comment service as it doesn't seem to be working now. Yesterday I came across the Reliable Software Group at the University of California Santa Barbara. They offer research on several projects, but the one of most interest to me is STAT, or "State Transition Analysis Technique for Real-Time Intrusion Detection." They provide RPMs for Red Hat 7.3 and packages for Solaris 7 SPARC, so I might give some of their code a try. Today the Regional Computer Forensic Group finishes their Annual GMU Computer Forensics Symposium. The RCFG is sponsored by the High Technology Crime Investigation Association DC Chapter. I watched two of my Foundstone coworkers brief scenarios based on cases we've worked during the last few years. You don't have to be a Fed to join the HTCIA, although some of the briefings at the conference were "confidential" and closed to those outside the government or law enforcement. Yesterday just after 6 pm eastern I checked the Internet Health Report to see if the east coast blackout was affecting the Internet. I didn't see anything out of the ordinary. Looking at the Internet Traffic Report, however, as of this writing a core router in Michigan, danu.ili.net (209.115.84.254), appears down. Since my father-in-law in Michigan reported he's still without power, maybe that's the cause. 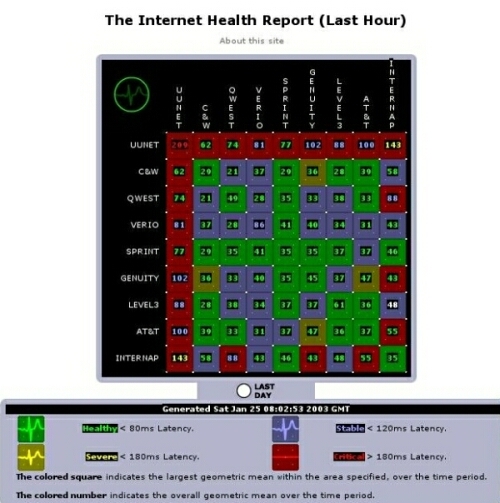 Of the 78 routers monitored in North America by the ITR, only a handful are in the affected states. Most of those didn't see major problems during the outage, so they must have had backup power. Oddly, besides the ili.net router, denver-br2.bbnplanet.net (4.0.0.118) and atl1-core1-l0.atlas.algx.net (165.117.1.76) are also completely down right now. I installed Red Hat 9.0 on my IBM ThinkBrink (I mean ThinkPad) a20p yesterday. It has 384 MB RAM and a 20 GB hard drive. I then installed a trial version of VMWare 4 for Linux. Next, I installed images of Windows NT 4, Red Hat 7.0, FreeBSD 4.3, and Solaris 7 x86. I gave each OS 32 MB RAM and between 1-3 GB hard drive space. I was able to run all four OS simultaneously without a real problem, although I didn't run X in Linux and FreeBSD. Solaris offers a GUI by default but I began a command line session instead. This arrangement makes a decent lab environment, although more RAM would help. It's nice being able to run old operating systems in such small amounts of memory! Several people have told me to try Knoppix, a bootable Linux distro that runs in a RAM disk. I gave it a shot, running it straight from my CD-ROM drive and then within a virtual machine to acquire screen shots. This is a great idea if you want to try Linux without installing a full distro on your hard drive. Knoppix is entirely memory-resident, so if you power off your machine Knoppix disappears. I must note that upon restarting my Windows XP laptop after running Knoppix, it bluescreened when the Windows logo disappeared. A hard shutdown fixed the problem, which must have had something to do with memory contents. Knoppix loads directly from the CD-ROM, and drops users into a KDE desktop. Knoppix is based on Debian. 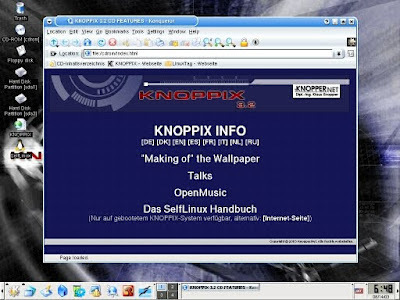 You can read the software included on the Knoppix web page. My friends like Knoppix because it has vast driver support for peripherals, making their lives easier. I know of some security researchers who do their programming within Knoppix, so others can try their software on a similar platform without much trouble. This is actually a powerful idea. The programmer knows exactly what the user brings to the table if he's using a stock Knoppix distro. If the user has modified or created his own Knoppix distro, then all bets are off. 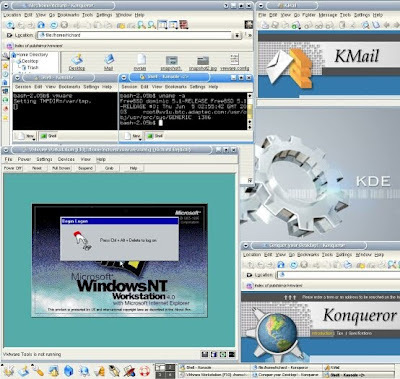 However, if programmer and user each operate the same Knoppix distro, they can be sure software designed by the programmer will work for the user. While perusing recent CERT advisories, I read gnu.ftp.org was compromised in Mar 03 but discovered only this month. According to the annoucement, "The modus operandi of the cracker shows that (s)he was interested primarily in using gnuftp to collect passwords and as a launching point to attack other machines. It appears that the machine was cracked using a ptrace exploit by a local user immediately after the exploit was posted." This shows escalating privileges to root isn't the "end game," as this intruder sought to leverage that access to compromise others. This reminds me of the techniques espoused by el8 in their war on white hats. Update: A year ago today Wired published a story on an underground zine called el8.3.txt which declared war on white hats. Phrack 61 was released today. The mag has the usual mix of clever put-downs of the clueless in the loopback section, and cutting-edge programming-oriented articles in the main sections. Phrack 60 was released in Dec 02. @stake discovered a vulnerability in one of my favorite network security monitoring tools -- TCPflow. TCPFlow can read libpcap data and generate files containing the contents of network sessions. It's used in Sguil to create "transcripts." Be sure to upgrade to v0.21, released 7 August 2003. The FreeBSD port hasn't been updated yet. "Meta vice president Tom Scholtz said organisations that had taken an intelligent approach to IDS have had no problem establishing the value of the technologies. But he added: "Those that have purchased a product without the benefit of an underlying policy and plan naturally feel like they have wasted their money, because they have." Amen! When looking to see who was running OpenBSD 3.3 on 486 boxes (more on this later), I discovered The Uptimes Project. Participants install a daemon on their systems which report uptimes to a central site. Beyond general statistics, you can check individual operating systems, such as FreeBSD. Maybe once my home network has been stabilized I will try this out. Be sure to restart process 1 (init) using 'kill -1 1'. Then configure your terminal client to use 115200 as its connection speed, and you can connect to the serial port using a serial cable and null modem. What this worm proves is that Windows boxes cannot be placed on the Internet without an access control device protecting certain ports. Windows offers too many services that are capable of being exploited. Connecting unprotected laptops to corporate internal networks via VPN is a risk which needs to be controlled. (Here's a home user wondering why his machine keeps rebooting -- msblast.exe?) Companies should look for firewall solutions on the NIC, perhaps like this Linksys USBVPN1. If anyone has experience with this product, please email me. I just read the FreeBSD security advisory on the realpath(3) function, which "is used to determine the canonical, absolute pathname from a given pathname which may contain extra "/" characters, references to ""/." or "/../", or references to symbolic links. The realpath(3) function is part of the FreeBSD Standard C Library. . . Applications using realpath(3) MAY be vulnerable to denial of service attacks, remote code execution, and/or privilege escalation." This is a problem because all releases of FreeBSD up to and including 4.8-RELEASE and 5.0-RELEASE are affected, and OpenSSH is listed as one of the programs affected by this bug. The fix is to upgrade your system to 5.1 RELEASE or the respective security releases of 4.7 and 4.8 RELEASE, or apply the patch given in the advisory. This FreeBSD-specific warning builds on advisories released by ISEC and CERT. There seems to be a spike in port 22 TCP scans as reported by Incidents.org near the day ISEC released their advisory. It looks like MyRSS somehow has a feed for this blog. If someone would like to try it and let me know how it works, please contact me at blog at taosecurity dot com. I am particularly interested in who uses RSS 0.91 or 1.0. This free site appears to update its RSS feed once per day. It looks like it's pulling the titles from the first link in the story, which means it takes you directly to the first link of the post and not the blog itself. :( I'm still working on upgrading to Blogger Pro, but they haven't answer my email on their upgrade site being down. 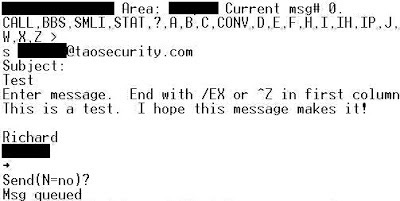 Update: I was contacted via email by someone who tested this myRSS feed with Aggreg8.net and found it worthless. Thanks for the info! I read in the June 03 Sys Admin magazine about Portknocking. The basic idea involves using a firewall and log watcher to respond in a user-defined manner to sequences of connection attempts to closed ports. For example, connections to ports 100, 102, 101, and 201 mean "open up secure shell for the source IP address." This is really a twist on the idea of covert channels, but it has lots of possibilities -- including an attacker who brute forces the system to gain access. It's still a neat idea. The September 03 Sys Admin magazine is available, with the title "Security." I don't see how this is different from June's "Security" issue, but I like to see that much attention given to the subject. Is anyone else attending the Recent Advances in Intrusion Detection (RAID) conference in Pittsburgh next month? I'll be an attendee doing research for my book. The conference lasts from 8 to 10 Sep and is dirt cheap -- $300 until 15 Aug, $400 afterwards. As you can see I can complete a three way handshake, but there the process hangs. I posted this to the support forums (reg required) and to their feedback form. I can't wait to see the replies. Update: I received an email stating this could be a problem with Thunderbird. Given that USENIX finished today, I figured I'd say a few words beyond those already uttered this week. I found two of the "ask-the-experts" sessions to be very informative. Steve Bellovin of AT&T Research Labs and Bill Cheswick of Lumeta gave great talks. Yes, I gave the second edition of their book a three star review. Regardless, their USENIX talks were very helpful. After explaining how Lumeta's IPSonar works, Ches told us of a project called RocketFuel which is mapping the Internet, as Lumeta's most current maps aren't shared anymore due to post-9/11 security concerns. I found Cheswick's patent on "Method and apparatus for tracing packets in a communications network". FreeBSD is my operating system of choice. I'd run FreeBSD as a guest operating system using VMWare and Windows XP as the host OS. Yesterday I managed to do nearly the oppositive. I installed VMWare via the VMWare3 port on my Thinkpad a20p running FreeBSD 5.1, and ran Windows NT 4 within VMWare! Essentially I installed the port, started vmware.sh, and created a /usr/lib/vmware/licenses/user directory with the license.ws.3.0 file in it. I also executed 'mount_linprocfs linproc /compat/linux/proc' to prepare the Linux emulator. I used an unused VMWare 3 license made obsolete by my VMWare 4 license, and fired it up. Unfortunately, I had trouble getting the network to work (and read in the mailing list this is common), and read only one guest OS per session is allowed. I plan to use Linux as the host OS for my next test.